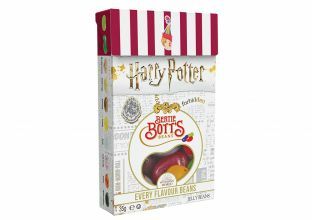 NEW - Magical Special OFFER: ALL new design packaging. 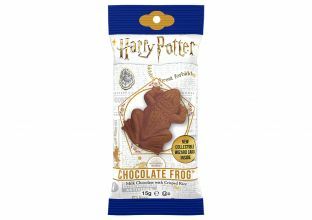 Frog Ingredients: Milk chocolate 90% (sugar, cocoa butter, whole milk powder, cocoa mass, emulsifier: E322 (soy), flavouring), crisped rice 10% (rice flour, sugar, salt). Milk chocolate contains cocoa solids 25% minimum and milk solids 14% minimum. 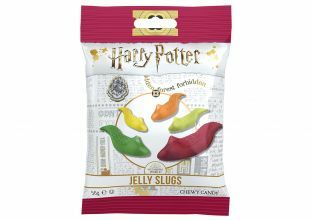 Slug Ingredients: Sugar, glucose syrup, modified potato starch, water, acidity regulators (E296, E325, E330), flavourings, fruit and vegetable concentrates (carrot, apple, spirulina, black currant, pumpkin), coating (glazing agent (E903), palm oil, coconut oil), colours (E100, E171).